Passing down legacy is one thing, carrying it forward is another. Talking about the latter, one example that clearly defines this ideology is 3G. 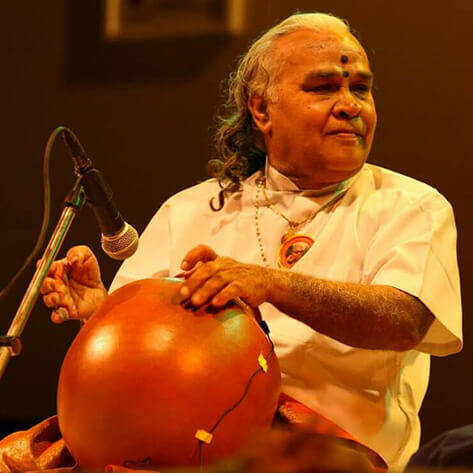 The very legendary percussionist Vidwan Vikku Vinayakram along with the support and finesse of his exceptionally talented sons – Selvaganesh and Umashankar and grandson – Swaminathan, is the only family of India that has been worshipping music since three generations. 3G is a celebration of Indian classical music with the deep roots in Indian culture where you get to witness three generations of a single family performing together as a testimony to their unmatched dedication and love for music. At the Sacred Pushkar, we are fortunate to get a chance to be part of this three generation legacy as 3G will enthrall the audience with their superlative skills on ghattam (Vikku Vinayakram), hand drums (Selvaganesh), morsingh (A Ganesh) and kanjeera (Swaminathan).